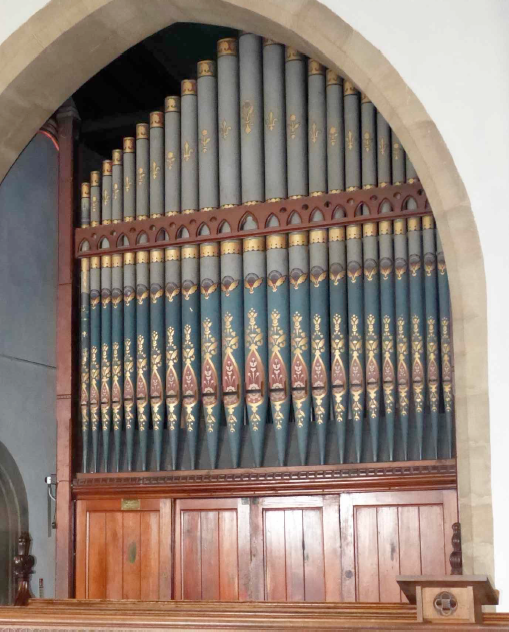 Thirteen people played the newly renovated organ at the Organ Open Afternoon on May 13th and twelve visitors walked round the Church. One couple were staying in a caravan at Thorpe St Peter but had travelled from Oldham; three gentlemen came from Lincoln; others came from Horncastle and the surrounding area. Two young girls who were pianists had a go on the organ for the first time and were thrilled with the sound and hope to return to have another go. The music was wonderful and organists from Tattershall, Alford, Orby and the Louth area have signed up to play during the Music! Music! Music! weekend on July 1st and 2nd. Mary Perry had kindly done a beautiful flower arrangement by the William Hill Memorial window so that it was obvious to visitors which window was dedicated to him. Jane Parker and Sue Heggs had a busy afternoon serving tea and cake and Hilary Astley did a great job at welcoming the visitors. Many thanks to everyone who helped to make it a successful and enjoyable afternoon.